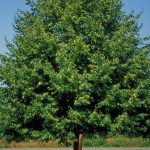 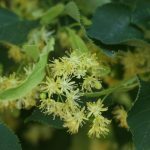 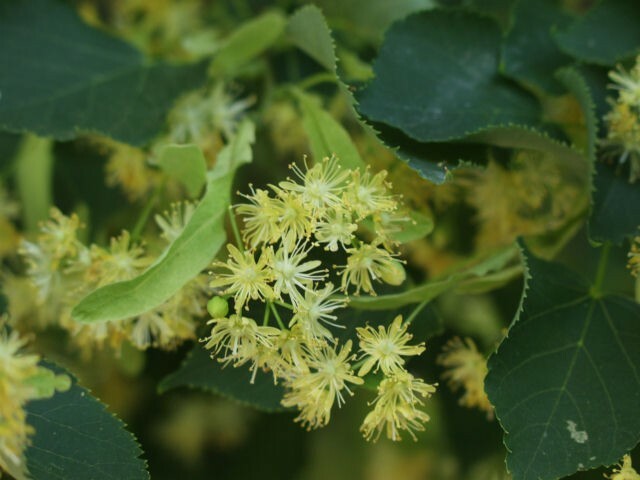 An oval shaped tree with small, dark green leaves and creamy yellow flowers in early summer. 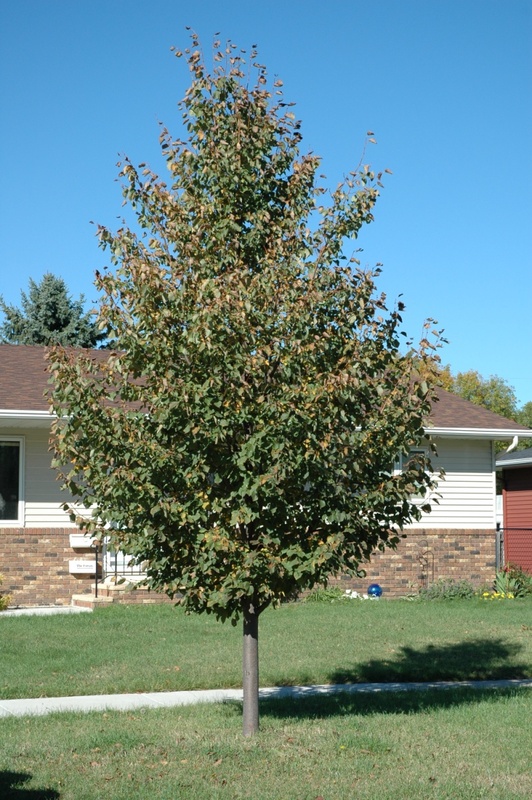 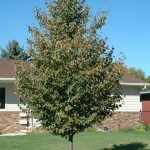 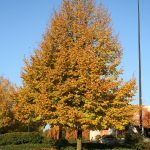 This is a very tidy and low maintenance tree that is very adaptable to a variety of conditions. 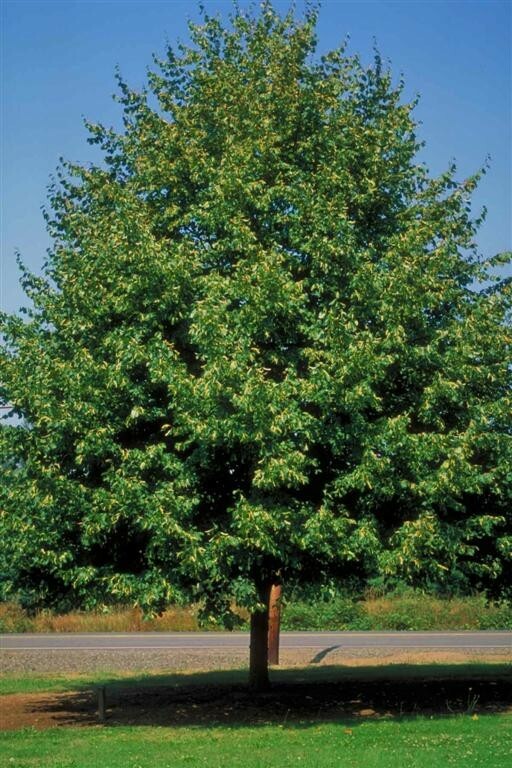 It should be planted in full sunlight but can tolerate either dry or moist soil types. 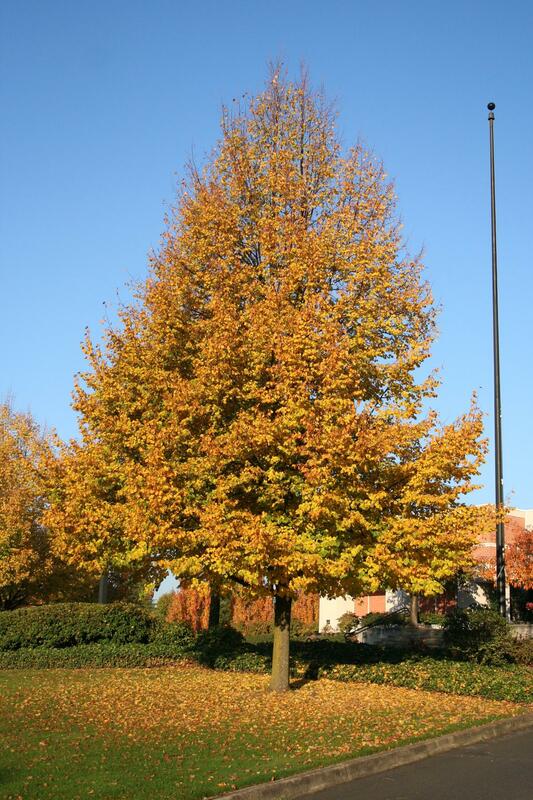 Greenspire Lindens can tolerate urban pollution making them a popular city tree.